Every business is different and uses different parts. Profit Rhino parts are meant to be more of a pricing place holder rather than the specific part that you carry. The beautiful thing about the Profit Rhino platform is that it is completely customizable so you can get your own parts into the system. Below is a link that will download the part import template for you. Once you fill this out using the help of this article please send the completed template to support@profitrhino.com and a CSA will help get the file imported in for you. Important Note: Imported parts will go in just as parts. You will still need to attach these parts to the correct tasks within your account. 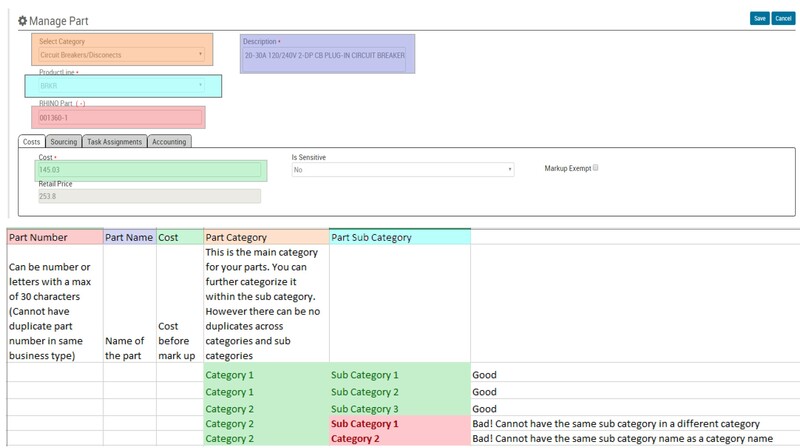 Below is an article showing you how to add parts to tasks.